The statistic shows the average global internet connection speed. 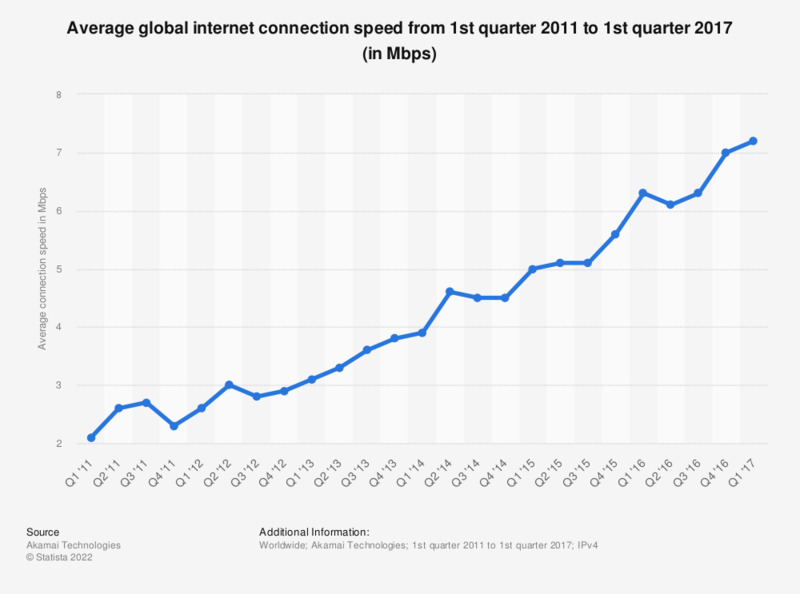 In the first quarter of 2017, the measured average global IPv4 internet connection speed was 7.2 Mbps, up from 7 Mbps in the preceding quarter. As of that period, South Korea ranked first in terms of highest average internet connection speed which was almost four times as fast as the global average.